The recent rampage by Buddhist bigots against Muslims at Aluthgama and Beruwala resulting in the death of three persons, and injuries to 80, rendering over a thousand people homeless is a defining moment for Sri Lanka. It is significant that he condemned neither the Bodu Bala Sena (BBS) nor its extremist leader Galabodaatta Gnanasara Thera responsible for the Aluthgama attacks. He did not acknowledge his government’s failure to control the growing anti-Muslim activities indicating its culpability. In one breath Rajapaksa said “the country has religious freedom” while in another he spoke of the country having the responsibility to protect and promote the Buddha Sasana. So it is not surprising that Rajapaksa has given no course correction to curb anti-Muslim activities perhaps because his Buddha Sasana agenda does not include it. From the statements of the President and other leaders of the ruling coalition three elements can be identified being blamed for the growth of anti-Muslim activities. These are foreign forces (identified as India, Norway and the U.S. by Defence Secretary Gotabaya Rajapaksa), misuse of social media by vested interests, and the opposition United National Party (UNP) colluding with international NGOs. They are all united in tarnishing the image of Sri Lanka and the Rajapaksa government according to the ruling class! The President probably feels that any action against the Buddhist monks could create a political backlash and erode his support among rural Sinhala Buddhist voters. The Saffron activism is also whipping up Sinhala nationalism which could be useful to repair the President’s image dented by his poor performance on the human resources front. The largely Tamil-speaking Muslims form only about ten percent of Sri Lanka’s 20-million people. Their faction ridden political leaders usually support whichever coalition comes to power regardless of its ideology. Even after Aluthgama incidents, they have continued in their cabinet posts giving hope to the President that he could buy their support even if Muslim community does not support him. Initially, Sri Lanka had tried to suppress the reporting of the Aluthgama riots. But it failed due to social media reports; so it is now trying to control social media and the NGOs. Al Jazeera reporter is being investigated for his video coverage showing visuals of saffron-clad monks leading the attackers on Muslims and their property. The Newsweek Pakistan has highlighted Sri Lanka’s lack of concern by quoting Sri Lanka Minister for Public Relations Mervyn Silva’s flippant remark that he was prepared to marry a Muslim woman “for the sake of national harmony.” These reports have caused concern in the Muslim world. Organisation of Islamic Cooperation is said to have expressed its concern to Sri Lanka. In this charged atmosphere, Rajapaksa may face challenges from the Muslim world as well as international Islamic terrorism, which is on the ascent. According a report of July 8 the Director General of Muslim Religious affairs after going through a recording of Gnanasara Thera’s statement to the media affirmed before the Colombo Fort Magistrate that it contained certain derogatory comments on the Quran. This may well trigger the anti-Sri Lanka backlash in Muslim countries. It could test Sri Lanka’s “all weather friendship” with Pakistan. Employment of Sri Lankans by Gulf countries and Saudi Arabia could be affected with its adverse impact on foreign remittances forming the bulk of Sri Lanka’s foreign exchange earnings. Sri Lanka’s staunch Muslim friends may not support it at the forthcoming UN Human Rights Commission (UNHRC) where Aluthgama violence is likely to figure in the discussion on Sri Lanka’s human rights aberrations. This could result in further erosion of the President’s image at home. The other more insidious challenge for Sri Lanka could be from Jihadi terrorism exploiting the situation to spread its wings among Sri Lanka Muslim population. The Pakistani Jihadi group Lashkar-e-Tayyaba (LeT) had in the past used safe houses in Sri Lanka to train and infiltrate Muslims extremists into India. The LeT could use the existing strong sectarian divide between the largely peaceful Sufi Muslim population and the smaller fundamentalist Wahabi elements to further its interest. A small Wahabi fringe group the Tawheed Jamaat (TJ), spouting anti-Buddhist sentiments, already exists in Sri Lanka. It has fraternal links with TJ in Tamil Nadu which enjoys considerable influence. Though the Tamil Nadu TJ claims to be against extremism, it is led by former members of the proscribed terrorist group Student Islamic Movement of India (SIMI). This link has the potential to whip up religious passions among Muslims to condone if not support acts of Jihadi elements. Last month when Indian Prime Minister Narendra Modi met President Rajapaksa, he had drawn his attention to the recent arrest a Sri Lankan Muslim in Chennai caught while spying for Pakistani intelligence which had been helping Pak terrorist groups. Pak agents who employed the suspect were operating from their High Commission in Colombo. Realising the danger to national security from Pak terrorists, Sri Lanka is expelling 1500 Pak asylum seekers living in Sri Lanka. So Rajapaksa has to fine tune his political priorities in handling anti-Muslim activity lest he jeopardises Sri Lanka’s national interests. As a Leader of Sinhala Buddhists, Rajapakse’s are doing the right thing. But it was people like Menon, Mukhergee, Nambiar who filled their pockets and sold India’s control over Lanka. I don’t think Modi even know what’s in the South? Does Modi know where is Puducherry is? How the hell he knows where Jaffna is? So there is no remorse with the Sinhala Buddhists. They have no shame. What is Buddhism. listen Below. What is Sinhala Buddhism? Is it Racism and intolerance ?Is it a brutal Religion? Erik Solheim ‏@SolheimDAC Jul 17 @Amarasi69467474 @taylordibbert For sure we funded BBS. As we have always funded LTTE, Mahinda and ths islamic jihadists in #SriLanka. Another of the Bishop’s sock puppets. 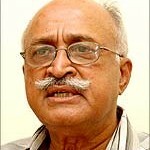 Colonel Hariharan dying for Muslims. Came to Lanka t kill Tamils and went to Cashmere to kill Muslims. Isn’t it that is what King is doing too. He killing all minorities in Lanka. But, crying for Palestinians. 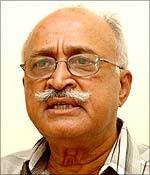 Colonel Hariharan is doing in writing and What Rajapaksa doing in politics. It is the muslims first attacked Sinhala people. One muslim shop owner, has squeezed the private parts of a young boy in front of his mother. villagers has set fire to that business. It is muslims who attacked first to the protest rally. You can see stones coming from the mosque and from building tops. then later only sinhala people attacked Muslims. Muslim sin revenge had burned down nearby sinhala village. Jim Softly (English Pseudonym) is a non Buddhist. A Buddhist will refrain from wrong speech (Musavada). His aim and motives like BBS, JHU is to bring disrepute to the Dhamma. Maithri? Karuna? Muditha? Ahimsa? Oops! Jim Softly may not understand same. Is the good Colonel trying to make a Mountain out of a Mole hill in Darga Town?. Correct me , if I am wrong please …. You must be elated hearing that Palestinians have lost at least 450 of their innocent civilians, women and children and more than 2000 injured over the last six or seven days due to one sided war. Zionist Biby speaks Sri Lankan language, human shield, firing from Mosques, hospitals and houses, humanitarian operation, …………..
Palestinians are demanding a war crime investigation. MR could recommend his men, Palitha Kohona, Svendra Silva, Jagath Dias, ……… as the team members. Dayan should be given the post of public relation team leader (he is the only person he has in his team), more war warmongering against Palestinians and more denial of war crimes. Is your master MR still supporting Palestinian rights? You should have forwarded this to your friend Miss Navani Pillay , with copies to your other buddies Cameron, Harper and Obama.. The last is probably hard to reach, Suggest you make an extra copy to your other friend, the Lady Ambassador in Colombo. The reasons which may have caused the Aluthgama incident…. 1. The Muslim riots of 1915 was started/initiated by the immigrant Muslims with the help of British colonialists rulers. 2. Muslimisation of Sri Lanka is already on its way. -When Gatafi visited 1976, he wanted to see a Muslim SL. -Ashroff wanted a separate state called “Nasiristan”. -Coastal cities, central province, and eastern province(completely) are already under Muslim control. 3. In eastern province, there are signs written in Arabic. 4. Unofficial Sharia courts operate in eastern province and there are no-go-zones for the members of the police and the army. 5. Madrassas are mushrooming all over the country and radicalising the Muslim youngsters. 6. Over the past 30 years Muslims dropped their Asiatic way of life and adapted Arabic extremists’ way of life. 7. The archaeological sites have been bulldozed to the ground in Eastern Province, , and archaeological sites in other places have been invaded and made settlements there too. 8. Recently Wilpattu national park have been colonised with the help of corrupted-always-lying-minister-Bataudeen. 9 Some well-Known muslim businesses have employed non-Sri Lankan citizens. 10. Some Muslim JPs produce false birth certificates and IDs for non-Sri Lankans. After happening all the mentioned above, the majority community should be thanked and given a round of applause for their tolerance. Muslim intelectuals, American intelegence, Indian intelegence, and Sri Lankan intelegence have already confirmed the existance of Jihadi extreamists. Extreamist Jihadis are hiding amongst good innocent Muslims, so the general public and the government must be wise to separate the good guys and the bad guys. Ela Thana kiri’s steadfastness towards the MR/BBS cause must be commended. It’s not a surprise as they are all in the same boat. Don’t miss the medication Ela Pojjo ! afzal fool, you got it wrong as always,,,i dont support MR. yo think MR is a racsit, i don’t think so. we need someone stronger who should be able to crush tamil and muslim terrorists. ela kolla you SLAVE: What is your culture man. Is it ANIMAL CULTURE. Must be half animal and half human. Have you noticed the pressure is working. The killers of the British Aid worker are behind bars for 20 years despite the attempt of your boss the THUG from Hambanthota to cover up for the killers. Modi”s ( your master ) assistant Mr.Sigh has said that MR has promised that the 13th Amendment will be implemented in full within two months. Convey the message to all the RACIST Scum Bags. MR has cancelled attending the Commonwealth Games so the party goes ahead without the Chief Guest. It was waste of money paying Sharma . What a shame and what are you going to do man. Answer you fool. kali scumbag, i take the pleasure in announcing lot of your family and friends were butchered in nandikadaal lagoon. i wonder how army missed you, you lucky fool. You have been saying this for the last few years and we know all about that and I have told you we will always remember your horrors. You are simply copying and pasting the same thing over and over again because you have nothing new other than to Sucumb ( ADIPANI) . But we have a lot of new developments to post especially how The THUG from Hambanthota has been forced to eat the humble pie. The latest humiliation is he has been forced to abort landing in Scotland. He is the current Chair of the Commonwealth but he has said he cant sit because he is suffering from PILES. This is what happens if you pay SHARMA and buy a seat. He will be shitting for a few more years. I hope you will answer this humiliation but then again what do you expect from a Sinhalese SLAVE. Nothing except NANTHIKADAL. At least I give you credit for admitting your CRIMES at Nanthikadal whereas the THUG from Hambanthotta and the Delivery Driver and LOOTER Gotha deny it. 1) Muslims settled in Sri Lanka well before advent of ISLAM ie. over 1500 years ago and hardline Buddhist groups such as JHU and BBS tries to manipulate that they are ‘new arrivals’ at the time of British rule. 2) Muslims are being 7.9% of the entire population of Sri Lanka (see gov. senses of 2013) how on earth they can create Sri Lanka a Muslim country? This imaginary hoax to create fear and alarm in Sinhala community by well-planned extremist Buddhist elements to attack the Muslims for absolutely no reason. 3)Al-Quran and Islam originated in Arabia in Arabic language therefore, every Muslim household anywhere in the world influenced by Arabic language exactly the way Pali has somewhat influence in Buddhism. So it’s natural Muslims learn Arabic from the tender age to read Quran and understand the meaning in original form. This practice in Sri Lanka goes for many, many centuries. Ii is encouraged followers of true Buddhism to learn Pali and you will have direct access to original source of Buddhism and appeal the way JHU/BBS fabricated what Buddhism is…. 4)North and eastern provinces are at the iron grip of Army, Navy, Police, STF, TID and unscrupulous Self Defence (Police) who with the eagle eye monitor every movement of Muslims and Tamils. Even mobile phones messages and numbers are scrutinised and later taken to custody for further investigation. This is an act of pure breach human rights and you can laugh out loud allegation such like Sharia Courts and no-go-zones for armed forces!!! 5) Madrasas are to teach Quran and if you at least read a translation of Quran, you will undoubtedly understand Islam is a religion of peace. That’s the absolute reason Muslims refrain any violence even JHU/BBS goons try their best redicalsise the Muslims through their ruthless pogrom of looting, killing and the end fulfil the goal of ethnic cleansing of Muslims. Every nook and corner; every junction of roads mushrooming Buddhist temples and Buddha statues (Roads and Government properties are belong to every ethnic groups and erecting Viharas and Buddhist statues are by no means accepted in democracy and human values even infamous ”Independence Square” in Colombo is no exception there you will feel that you are in ”Buddhist Square”)is the top arrogance of Present regime and good example of redicalise Buddhism. North and Eastern provinces not spared to build new Viharas and Buddha statues to satisfy the extremist Buddhists agenda. 6) As the regime leader quotes time and after that ”this is a democratic country’’ mean you have right to choose what you are. There are half naked women roaming around everywhere these days is a shame to Buddhist values and their good Buddhist parents are crying why they cannot cover like Muslims!! I still see Muslims in this country eat rice and curry! 7/8) You are right. Not only in Eastern Province but also in Northern Province the archeological sites are being bulldozed under guise of development by the regime- Have you ever wondered why??? Seriously you don’t know why??? It’s ”Treasure Hunt” and ”Tiger Gold” my poor friend – Piles of erasures and tons of gold been plundered by the MaRa family and idiots like Rolands are made to believe by BBS/JHU Goons that Muslims/Tamils are colonising the area. Even the people chased by the LTTE adjoin the Vilapttu National Park barred by the JHU/BBS Goons to return to their homes after three decades of exile. Ruthless beast!!!!! Can they do this to Singhalese who are living and encroaching Singharaja Forest?? 9/10) Baseless and concocted fabrication. I’m not against employing non Sri Lankans (in a way I’m happy to if they are skilled). You are dying to go anywhere in the world and work (Australia) and settle but no one should come here!!!! Ask these many questions in front of a mirror. You will find a donkey in you Roland!!!!!!!!!!!!! ??? There were NO Muslims before the advent of Islam. ” Islam is a religion of peace ” and Al Qaeda and ISIS/ISIL follow Gandhian principles. Vow, and all of the world media are conspiring to mislead us. Truth is that SWRD did it, JRJ did it, Chandrika did it, and Mahinda did it. All are governed by Buddhist Sinhala Fundamentalism. The motive of Buddhist Sinhala Fundamentalism is Buddhist Sinhalese are above the law, above the humanity, above the god. Interesting and sensible piece of advice from the Colonel. Bigotry, anti Muslim variety in this instance, has no place in civilised society. Please, Colonel, forward the same advice to fellow Hindus of India and, most importantly to Mr. Modi, who probaly had more to do with the anti Muslim program/s in Gujarat than Rajapakses in Aluthgama and Beruwala combined. The ex-Intelligence colonel could not have missed the warning to Sri Lanka from India that Islamic terror groups were operating within it’s borders, confirmed by Interpol. The government is probably trying to keep a lid on things without frightening the population. The vulgar events in the Middle East are mirrored in certain parts of Sri Lanka with infighting within Islamic sects, and certain segments already disobey national laws and come into collision with the rest of society. BBS Was created by “Rajapaksha & brothers LTD” to crush all kinds of minorities in Sri Lanka. Gotabaya is a Director for this Drama series and I’m sure he’ll have his next plan to shift the violence to different province. After all the Poor monks are getting brainwashed by these “Rajapaksha & Brothers LTD” and creating bad name for Buddhism. Buddhism a very peaceful religions & it promotes harmony & kindness to other religions & cultures throughout the world. That’s what buddha taught all about. Money & Authouritarian attitude of “Rajapaksha & brothers LTD” are showing us their real thinking by creating violence among other religion. This is really sad and upsetting in fact.